No. 49, 100 Portraits in 100 Days series. 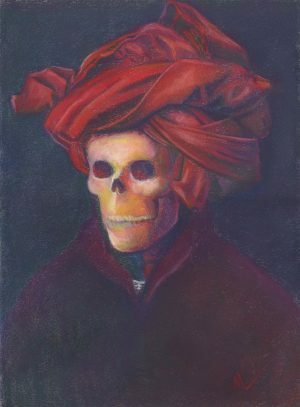 Fun skeleton portrait! $112 includes shipping anywhere in the USA. 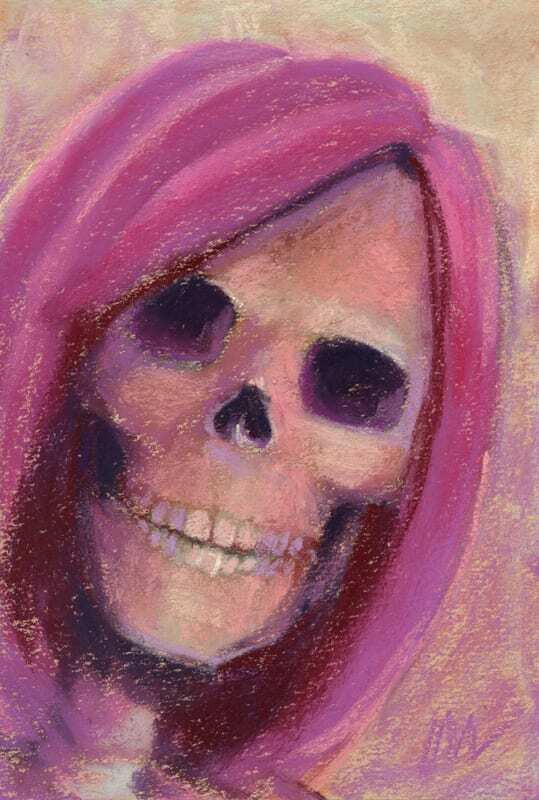 This is a painting of a smiling skull with pink hair. Fun! This is a 6×9″ pastel painting onCanson mi-teintes oyster colored paper. It is not framed but it does include a double white mat which will fit a standard 11×14″ frame. Want it framed? Contact me for options.